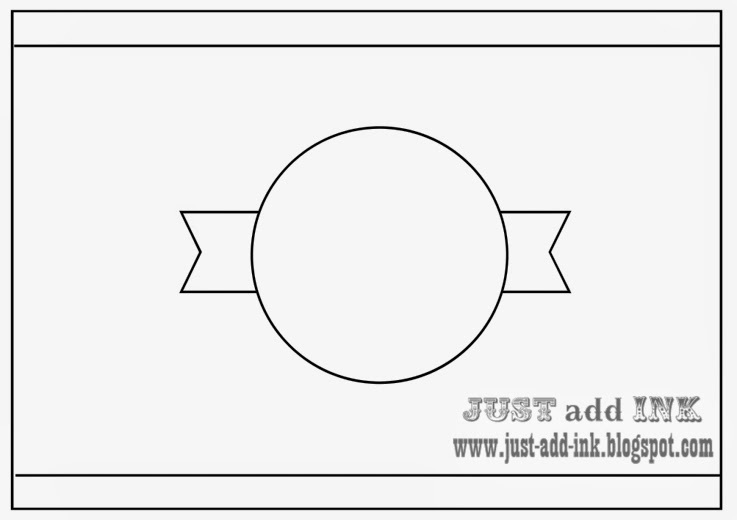 Well, for me, May has flown by as far as Just Add Ink challenges are concerned. It seems no time at all since I was nervously posting my first ever challenge as a guest designer and now, here we are at the last challenge for May. Thanks so much for the great month I've had with you! I've loved every challenge and this week's sketch challenge is no exception. When I look back over the month, I see that butterflies have featured each week! Accidental, I promise! This butterfly was a bit experimental. I stamped it then coloured it with Marina Mist, Perfect Plum and Elegant Eggplant, highlighted it with a silver gel pen then covered it in Glossy Accents. Pretty happy with how it turned out, really. The pearls are a soft blue and the under butterfly is Perfect Plum. 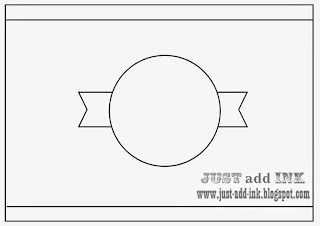 I made the Eggplant border by cutting a film strip die that I have, then cutting it lengthways to get that cool little dotty border to tie in with the circle dots around the butterfly. I'm also happy with the Soft Sky/ Elegant Eggplant combination. Card: Soft Sky, Whisper White, Elegant Eggplant, Perfect Plum. 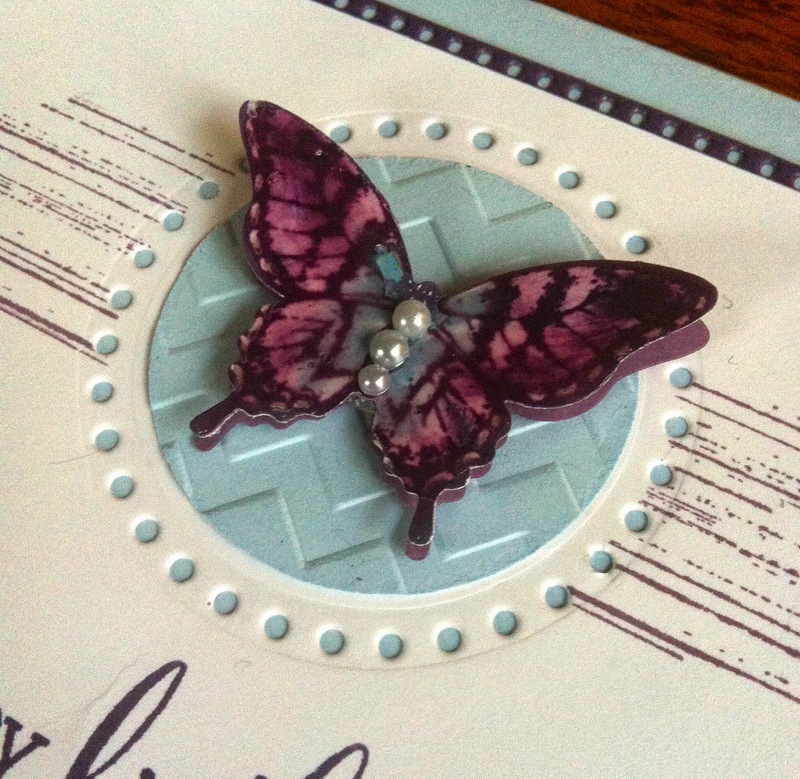 Stamps: SU Papillon Potpourri, SU Gorgeous Grunge, Clearly Besotted Fabulous Fuchsia. 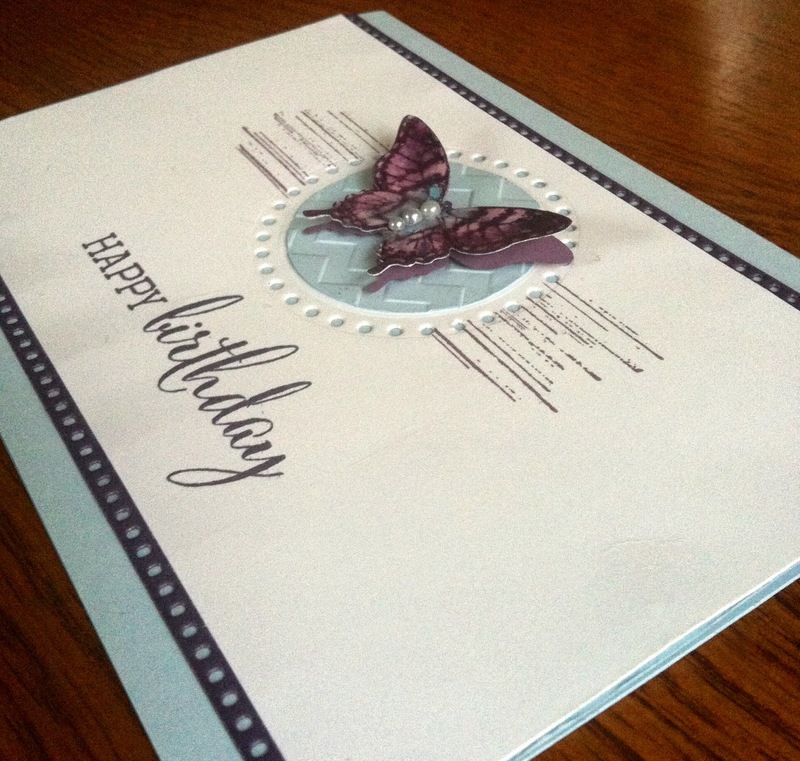 Other: MFT Filmstrip die, MFT Stitched Circle die, Elegant Butterfly punch, Couture Classic Chevron die, Kaisercraft baby blue pearls, Circle framelit, dimensional. Well, Jan, you've gone out on a high! It has been so lovely having you on the DT this month; your creations are stunning. This is a real "wow" card - the colours, the dotty elements, that glorious butterfly ... love them all. Going to miss you being a part of the team, have loved each and every one of your cards. How funny that you've had butterflies each week, don't blame you though, they always look lovely. This card is brilliant and really love the colouring on this butterfly. I hope you will keep playing with us at JAI!! It has been an absolute pleasure seeing your Dt samples each week Jan. I have loved your interpretation of each challenge. This one has such a lovely clean elegance and that butterfly is gorgeous.